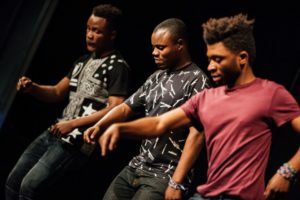 This year the third Migration Matters Festival will take place in venues across Sheffield from the 19th to the 23rd of June in what will be the UK’s 20th annual Refugee Week. Sheffield will host the largest city-wide festival celebrating migration and sanctuary where all events are pay-what-you-decide and free for anyone seeking sanctuary, refugees or anyone who is financially vulnerable. The festival will bring communities together to enjoy a rich mix of international, UK and Sheffield based artists ranging from theatre, music, dance, exhibitions, workshops and much more. SYRLJ and ASSIST Sheffield have been chosen as the nominated charities for the festival. This means that a proportion of the booking fee for anyone who pays for tickets will be shared with each charity, and provide practical support to the asylum seekers most in need in our city. Read the full programme here . Then book your tickets via Tickets for Good here (search for “Migration Matters”).